Why Us? Why Rent Our Storage Containers? Containers4Less—Our Name Says It All! Prompt Delivery & Pick Up—Guaranteed! We pride ourselves on providing excellent customer service and have developed a strong reputation throughout the Raleigh, NC community. If you're looking for high quality secure on-site portable commercial storage rental at the lowest cost*, your search is over. Since launching the Containers4Less brand three years ago, we've quickly built a name for supplying the lowest cost, highest quality container storage rentals in the Raleigh NC area. 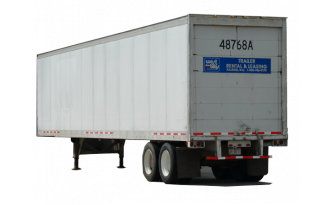 Looking for storage trailers? We have those too! Let's get started! Fill out the form below for a free, no obligation quote and discover how we outperform the competition and will surpass your expectations. "Even though I had issues getting internal approvals to rent the container, they made the delivery on a very cold morning before having the PO number assigned. The driver was very friendly and fast. And the cost made by boss happy. Bonus!" "Prompt delivery. Reasonable cost. Excellent product. " "I received the container on time and in great condition. I’m very pleased with the service . Thank you guys "
"Excellent job in meeting my recent rental requirements, You provided up to date information on the progress of my rental. I plan to use you again for future requirements." "Like most General Contractors, we get last minute requests from our customers for storage needs. This was the case while remodeling a storm damaged Pizza Hut in Carthage, NC. The quick service provided was extremely helpful in keeping this project on schedule. Communication with the delivery driver kept us from having to have someone onsite waiting for the container to arrive. " "Just wanted to send a quick email to say THANK YOU!! The driver who delivered the container to Camp Lejeune today was amazing. Thanks for the great service!" Guaranteed 24 hour delivery and pick up. New customer incentives of $100 off your first delivery. Experienced, professional drivers and customer service staff. A home-grown commitment to getting it right, every time. 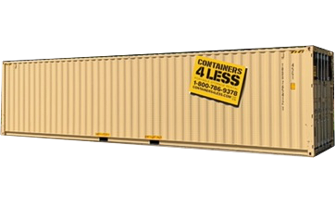 Start saving on your next commercial container rental today!